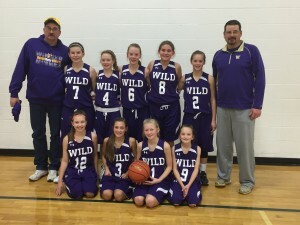 The Winner Wild girls basketball team won the Tri Valley tournament on Saturday. In the first game, Winner defeated Mitchell 35-16. In the second game, Winner defeated West Central 28-25. In the third game, Winner defeated Brandon Valley 33-26. “The girls did a good job as we only had seven girls this weekend and we were tired. They played match up zone to save our legs and played well. They were excited as Brandon Valley beat us by two points two weeks ago,” said Swedlund.